Everyone is talking about the glamorous revival of Hollywood and now you can experience it from the inside out thanks to designer Brogan Lane and her luxury styled suites at Villa Delle Stelle. Meaning “The House of the Stars,” Villa Delle Stelle recaptures the glamour of the silver screen and shows clients what it is like to “live and be treated like stars.” Nestled in the heart of Hollywood, where the famous Hollywood sign is in full view, Villa Delle Stelle offers various themed residential quarters catering to the elite. Owner Brogan Lane has been designer to the stars for the past decade, working with celebrities such as Jennifer Aniston, Matthew Perry, Leah Remini, and Kristian Alfonso, just to name a few. She serves as the Villa’s senior designer and everything, from the sophisticated furnishings to the knockout decorative details, reflects her signature style. “My passion is design, and I wanted to be innovative with this project. So I decided to create luxury suites that would bring visitors back to the glory days of Hollywood and showcase my work.” Lane bought the building erected in 1925 and along with the help of longtime friend, Samantha Cavallari, turned it into a gorgeous work of art from the exquisite interior design to the flowing ecletic outdoor landscaping. Lane, the former wife of the late Dudley Moore, understands how important it is to have “celebrity” services on hand as well. “When you arrive, you are greeted with a warm hello, a beautiful bottle of wine, gourmet cheese and French baguettes. Each morning, fresh gourmet coffee is ready and waiting for our guests to enjoy. Limousine service, a personal stylist, massage therapist, and much more are also available a-la-carte. 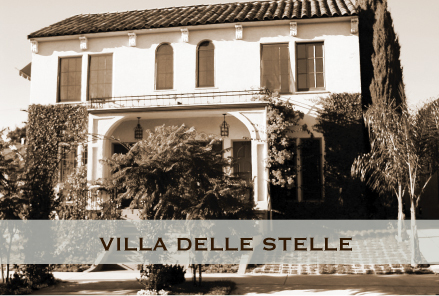 “The difference at Villa Delle Stelle is that you’ll feel at home with conveniences such as a full kitchen, satellite connected plasma televisions, and Internet access.” Each 1,000 square foot suite has been newly renovated and boasts elegant, custom crafted furnishings emphasized by exceptional period details. Guests can choose from the alluring two-bedroom, art deco suite where sensual materials blend the contemporary with the cozy or they can tickle the ivories in the English-styled suite. If they prefer to be inspired by gilded wood and rich fabric, maybe the Parisian apartment is where they might stay. No matter where they decide, the suites of Villa Delle Stelle will bring out the glamour and romance in everyone. Just a few short blocks away from the Kodak Theater, home to the Academy Awards, Villa Delle Stelle is conveniently located near most major studios. 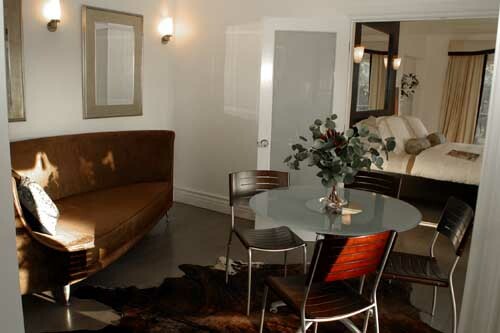 In walking distance to both longtime Hollywood landmarks and newer trendy hot spots, you are in the heart of it all. 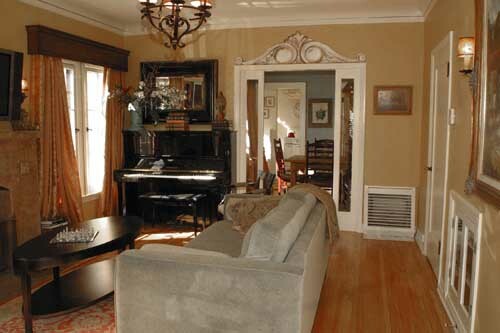 The nearby Metro provides quick access to Downtown as well as Universal Studios. Rates are $180/night with a two-night minimum. e-mail BroganLaneDesign@hotmail.com (website coming soon). To view Lane’s interior/landscape design work, visit www.BroganLane.com.